When Amazon has a hit, they tend to overdo it. 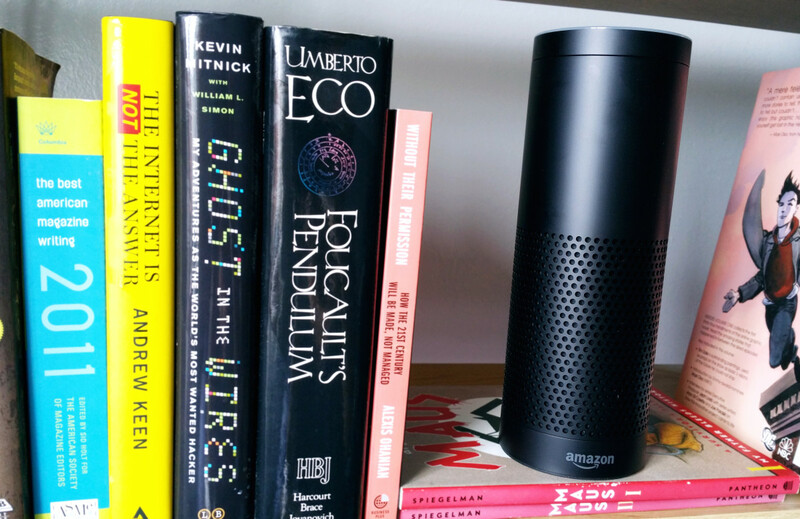 A new report suggests the company will soon release a smaller version of its Echo — likely at a radically reduced price. This tiny new Echo is said to jettison one major feature of the original: always on listening. Instead, you’ll have to press a button to activate Alexa. It’s believed to be cordless, though, charging via a base rather than needing a direct link to your outlet at all times. To that, it’ll be portable enough to drag around the house with you, though it’s not clear who’s been clamoring for such a device. Like so many other problems, the best solution is the one you’ve got in your pocket: a smartphone. If I am curious about something, I’ll ask Siri well ahead of Alexa. Other features, like voice-activated shopping, aren’t fully fleshed out yet. Smaller and without always-on listening, it’s reasonable to believe the smaller Echo will be cheaper. The current model is $179.99 on Amazon.